BEIRUT: The Kurdish-led Syrian Democratic Council (SDC) said on Saturday that it and the Syrian government had decided at a meeting to form committees to develop negotiations to end violence in Syria. 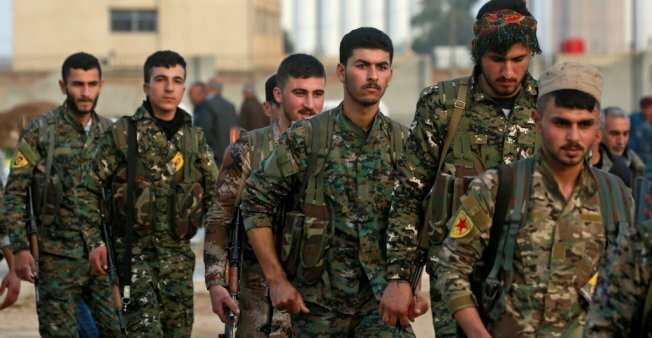 The committees would “chart a roadmap to a democratic, decentralized Syria”, said the SDC, the political wing of the US-backed Syrian Democratic Forces (SDF). The talks in Damascus this week pointed to moves by the Kurdish-led authorities in the quarter of Syria east of the Euphrates to seek a deal with President Bashar al-Assad to preserve their autonomy. The meeting was at the invitation of the Syrian government, the statement said. Assad, who – backed by Russia and Iran – has recently taken back most rebel-held areas after seven years of conflict, has sworn to regain “every inch” of Syria. He has also described the Kurdish administration in the northeast as “temporary structures”. However, negotiations with Damascus raise new questions for US policy in Syria, where the US military has deployed into SDF-held territory during the campaign against Islamic State insurgents.